There are many natural choices to make when choosing the best oil to benefit hair or scalp. Often years of using store-bought shampoos and conditioners can lead to damaged, brittle hair, and hair loss, as they only provide cosmetic benefits, rather than healing properties. But there are only so many years you can mask the problems of thin and brittle hair with silicon-based haircare products that do little more than weigh down your hair and cause further hair loss. Rosemary oil is one of the best natural hair treatments for your hair that is both safe and effective to use on a daily basis. Rosemary oil is in the essential oil family. It’s sold in small amber-coloured bottles. To make it, the oil is distilled from the green pointed leaves of the Rosmarinus officinalis plant. When the rosemary plant is flowering, the flower’s petals are purple, and look like a cross between snapdragon and iris flowers. There are also rosemary plants that can have white flowers and blue flowers. This is a green plant that is in the woody and perennial herb of the mint family called Lamiaceae. The word rosemary is derived from Latin, meaning “dew of the sea”. The ancient Greek word for it is called “anthos”. During the Middle Ages, rosemary was often used in weddings as a love charm and for headbands. More commonly, rosemary is grown for cooking. It can be used fresh, or dried and bottled. It’s often found on the spice racks of most kitchens around the world. The plant does well in small planters outdoors in many mild climates like the Mediterranean, but can also be grown indoors in smaller pots, or in greenhouses almost anywhere in the world. The plant has a sharp and fragrant green smell that is pleasant for most people’s noses. It has multiple uses, and can be made into teas to benefit health. The oil is extracted from the pointed leaves of the plant that look a lot like pine needles. It’s sold as essential oil in small bottles. There are many brands of shampoos and conditioners that have rosemary oil in them, but you’re far better to make your own personal haircare products. For the purposes of this article, rosemary oil and rosemary essential oil will be considered one and the same for health and beauty care purposes. There are many different oils to choose for your hair. While many are effective at taming dry hair and being used for styling purposes, there are few that have the beneficial healing properties that rosemary oil does. So, why should you choose rosemary oil above all others? The best way to choose is by examining your hair to find out what exactly is wrong with it. If you simply have hair that needs extra conditioner, you can benefit from using one of the other plant-based oils on the market. But if you need healing properties to help increase hair growth and to solve dandruff or other hair conditions, rosemary oil works to return your scalp to a healthy condition. If you wish to choose the best oil for your hair you’ll want to learn more about the specific benefits that rosemary oil can provide. Softens and conditions the hair. Increases hair thickness and fullness. Counteracts any skin infections that can lead to hair loss. Helps to speed up hair growth. Helps to prevent thinning and hairless from aging or hormonal conditions. Rosemary oil works as a natural antiseptic on the skin. Researchers are continuing to investigate how it can be of benefit for skin infections. But right now, rosemary oil is effective at killing the fungus that leads to dandruff on the scalp, as well as to help relieve itching. Its moisturizing properties will also help to counteract the dryness of this condition. Rosemary oil contains a high percentage of antioxidants that can fight off free radicals in the body. One of these is called carnasol, which is almost as potent as eating goji berries. But people can get the benefits of using it on their skin too, to prevent disease. Carnasol can also reduce inflammation in the body’s cells. This also has the benefits of preventing and healing diseases in the hair follicles that can lead to hair loss or thinning hair, as well as fungal infections, acne, and eczema that can affect the scalp. When used on the scalp, rosemary oil can help to stimulate hair growth. This is of benefit to both men and women who suffer the embarrassment of thinning hair. It works to prevent future baldness, and helps to heal hair follicles to increase hair growth. Rosemary oil improves the circulation of blood in the scalp which leads to good scalp health. Rosemary oil can also work to slow the greying of hair as we get older. It can also work to help dry scalp. Rosemary essential oil can help to strengthen hair so it’s not as dry or brittle. It will also help to decrease the loss of hair when you’re shampooing, conditioning, drying, or styling it. How Do I Use Rosemary Oil for My Hair? Rosemary oil is sold in a highly concentrated form. Often like with many essential oils, it can burn if it’s directly applied to your skin. Rosemary oil needs to be mixed with something, making it much easier to apply to your scalp. You can use a carrier oil, such as jojoba oil, to mix with your rosemary essential oil. Simply add 3 to 4 drops of rosemary oil to one tablespoon of jojoba oil. This can then be rubbed into your scalp and left for thirty minutes. Then you can shampoo your hair as usual. You may wish to save the scalp treatment for the weekends. If you’re in a rush on most weekdays, you can simply pour a few drops of the essential oil directly into your shampoo bottle. Measure out 10 to 12 drops of the oil for every 1 ounce or 30 ml of shampoo. Perhaps one of the best ways to use rosemary oil on the hair is by making a special hot oil treatment that you use once per week. The heat of this treatment will help to open up pores and follicles on your scalp so the oil better penetrates. This rosemary oil treatment doesn’t require a visit to the local salon. You can simply do it in the privacy of your home. Follow these instructions to make your at-home rosemary oil hair treatment to benefit your hair. Collect together the following ingredients to make a hot oil treatment for your hair and scalp. 1 tbsp/15 ml coconut oil. Small glass jar with sealable lid or cap. Two clean warm towels just from the dryer. It’s important to follow instructions so you don’t burn yourself from the hot water or hot oil. Boil your hot water, then pour it into a small bowl. Measure out the coconut oil and rosemary oil and add to the jar. Leave the lid off for now. 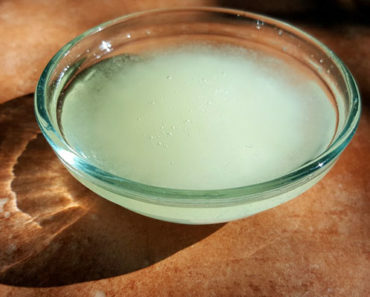 The hot water should be enough to melt the coconut oil. Use oven mitts to remove the jar from the hot water. Shake the bottle to ensure the 2 hot oils mix together well. Pour a few drops onto the back of your wrist to ensure that it’s not too hot for your scalp. Pour a few drops of oil into the palms of your hands. Keep up the massaging for two minutes. Ensure the oil penetrates done into the base of the hair roots at the scalp and slides down to the tips of the hair for an all-over hair treatment. Add a bit more oil from the bottle if you have longer hair or need it. Wrap one of the towels over your scalp. Rest for 30 minutes while the rosemary oil does its job. Use a bit of shampoo to wash your hair. Only use conditioner if your hair is naturally very dry. While rosemary oil is a natural ingredient, it can still cause some issues for certain people. If you suffer from any of these conditions, avoid using it in the future. Pregnant women should avoid using rosemary oil due to miscarriage risk. People who suffer from high blood pressure, as the oil can impact the effectiveness of heart medications. People who suffer from ulcers, Crohn’s disease, or ulcerative colitis should check with a doctor before using the oil on their scalps. If you have any sort of allergic reaction or bad rash, discontinue use. Avoid ingesting the rosemary oil, as most of these above issues can be prevented if you simply follow directions. Do not use rosemary oil directly onto your skin as it can give a burning sensation. Always mix it with a carrier oil—jojoba or coconut—before using. Never ingest rosemary essential oil. What Quality of Rosemary Oil Should I Buy? When you’re purchasing rosemary oil you want to be certain that you’re purchasing a quality oil. Often many oils are sold in larger bottles and are said to contain essential oils, but the truth is that they may only contain a few drops. Buy the best rosemary essential oil that you can afford. It should list the type of plant it’s sourced from, such as “Rosmarinus officinalis”. There may also be organic versions, though the cost will be greater. Purchase the rosemary essential oil first, then purchase a carrier oil that will work together. Coconut or jojoba oil works well. There are also other types of oils, such as sweet almond oil, castor oil, and more. Buy the highest quality of oil you can afford. Usually organic oils will cost the most. Start with a food-grade or cosmetic-grade of oil, then see if you can buy the best type. Avoid buying industrial-grade oils. These are for the manufacturing and automotive industries and should never be applied to your skin as they can contain contaminants. Using rosemary oil for hair and scalp can have many benefits that go beyond providing additional moisture for dry hair. There are many reasons why someone can face a sudden or rapid hair loss, including hormonal changes; chemotherapy treatments; stress; using the wrong types of shampoos, conditioners, and haircare products; and aging. The oil can correct rapid hair loss and help to restore thinning hair back to a healthy state. It can also slow down the greying of hair and help to heal scalp issues caused by fungi, bacteria, and viruses, which can eventually lead to hair loss if they’re not treated quickly. Rosemary oil can also be used as a preventative, even if you don’t suffer any of these hair conditions. But almost everyone will suffer from hair loss, greying, and thinning at some point in their lifetimes. Begin your rosemary oil for hair and scalp treatments today, and experience lush and full hair that lasts a lifetime.